Today we have in showcase amazing steel navel ring with hanging feather, a body piercing jewelry design by Bangkok925. 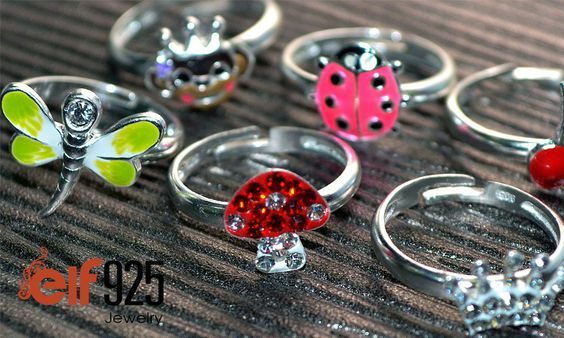 Bangkok925 is a Jewelry manufacturer and a supplier of wholesale 925 sterling silver jewelry , wholesale 316 Stainless steel jewelry, wholesale body piercing jewelry, wholesale handmade jewelery and wholesale fashion jewellery in Bangkok Thailand. 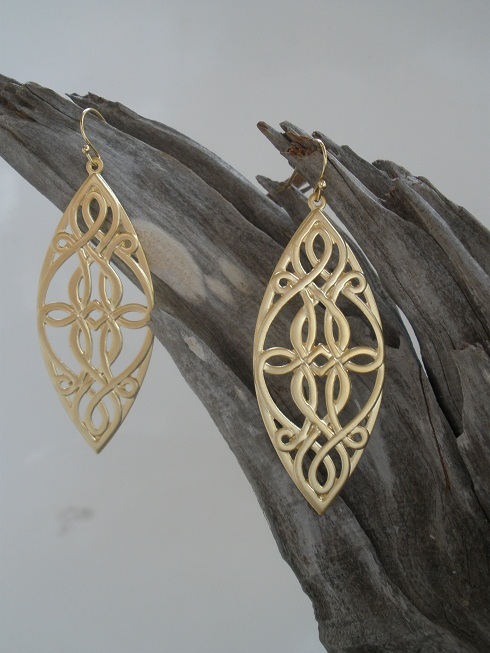 In Showcase today is stunning Renee earrings by Elizabeth & Maxine. 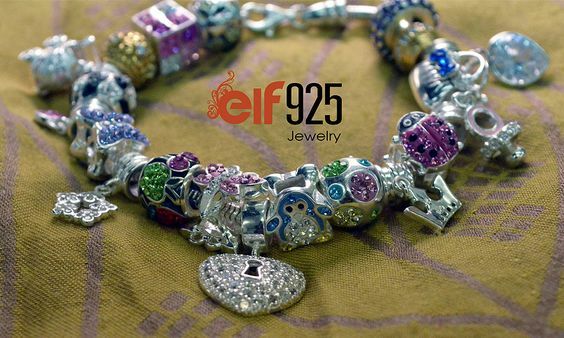 At Elizabeth & Maxine you will find beautiful semi-precious and precious gemstone Jewelry made with sterling silver, 14k and 18k gold and rose gold. 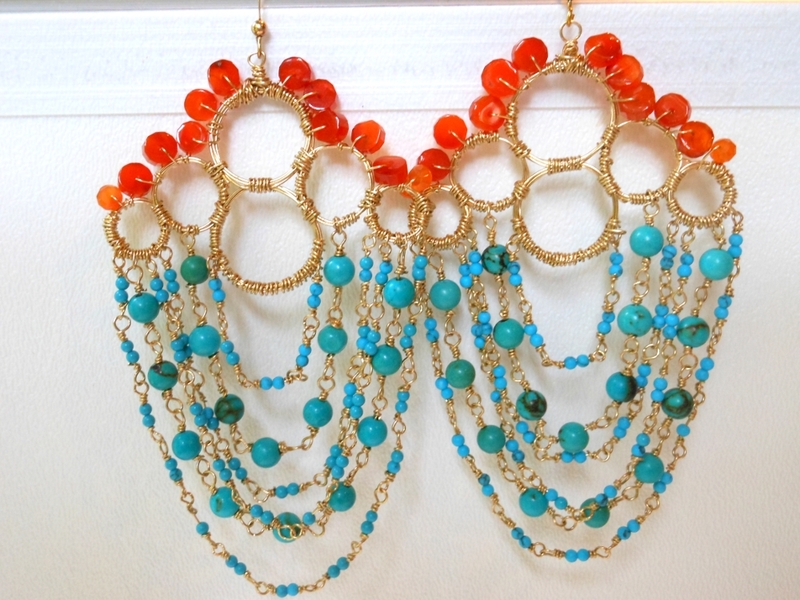 This Beautiful Renee earring has strands of 14k gold filled wrapped turquoise beads hang from hand formed multi strand circles. 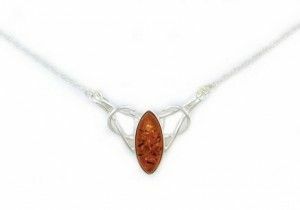 Deep mandarin Carnelian heishi beads are wire wrapped along the top of the circles. 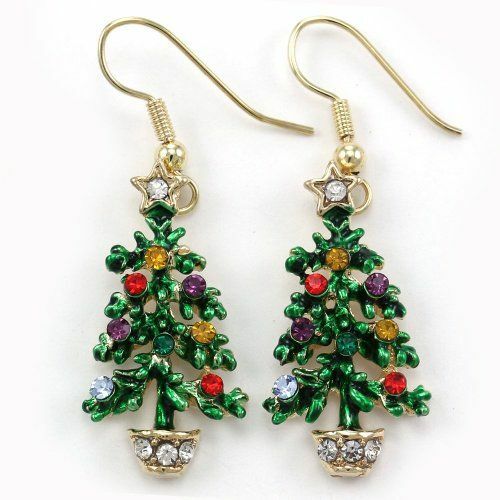 Earrings are 2 3/8 ” at widest, with a 4 3/8″ drop. 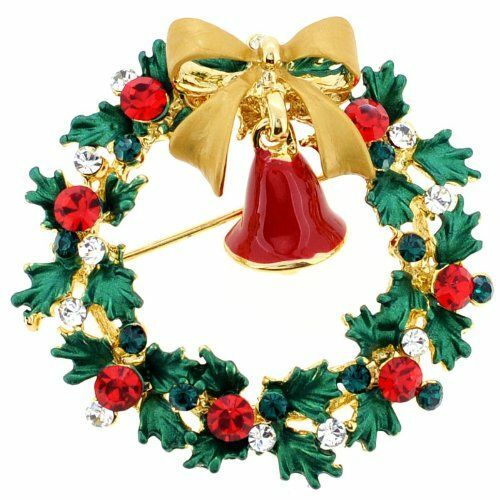 I loved their collection of earrings, hope you would like it too. 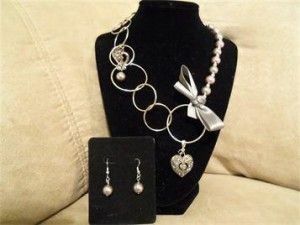 You can check this Jewelry piece and more of their collection at Elizabeth & Maxine website. Showcasing today, this very beautiful Keys Collection by Shiree Odiz. Located in Ramat Gan Diamond Exchange in Israel, Shiree Odiz has created an exclusive collection of unique engagement rings. According to them “A key can open a treasure chest of jewels, a musical jewelry box with magical memories of innocence, a warm home full of happiness or a palace full of dreams”. The stunning designer “Keys Collection” incorporates detailed elements from hand crafted antique keys. In picture below, is this beautiful “Chateau” engagement ring. 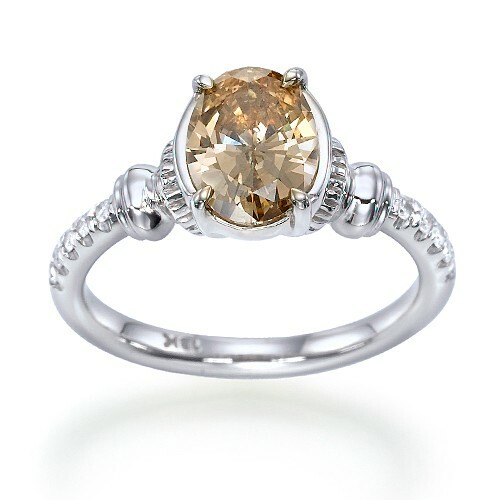 The ring is in designer antique style 4 prong setting with 0.20 carat F/VS natural diamond accents. You can choose from a selection of dazzling quality champagne brilliant cut oval shaped diamonds from 1.25 carat to 1.50 carat. The center diamond of this ring is a natural mined diamond that has been clarity enhanced for improved sparkle and beauty. I loved their keys collection, hope you would like it too. You can check this Jewelry piece and more of their collection at Shiree Odiz website. 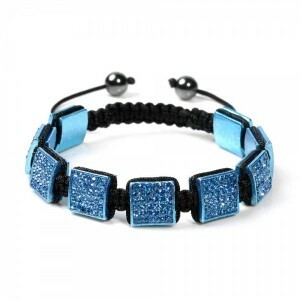 Found a very cool website, selling Shamballa Jewelry, Shamballa Style is a UK based jewelry retailer specialising in Shamballa bracelets, necklaces, and earrings. 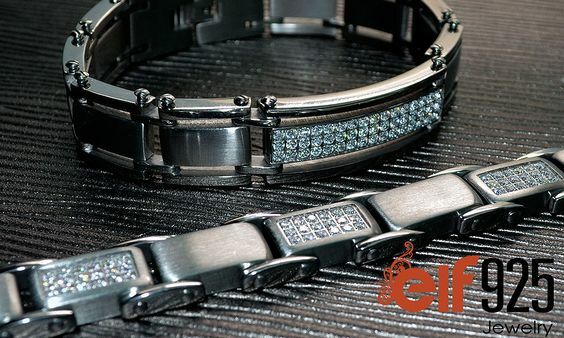 I specially loved their collection of bracelets, one of which is showcased below.